Wow. Your response to the series on listening has been amazing. I’ve read every comment, email, and social media post that you’ve sent, and I’m encouraged. We’re in this together! But I’m certainly new to this, and I’m learning from so many others. 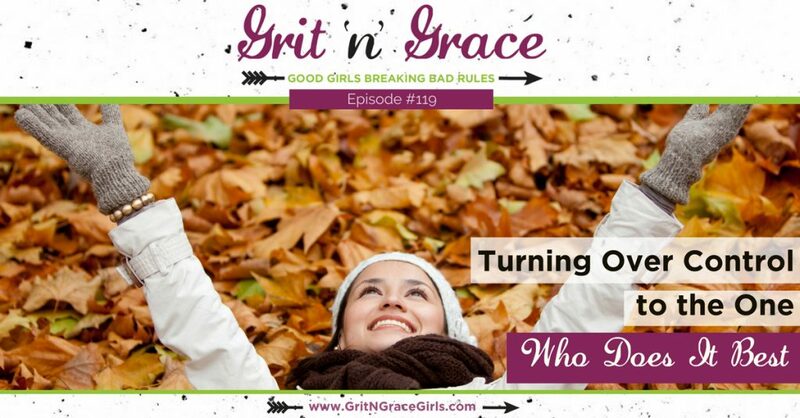 In the upcoming weeks, I’m going to let you listen (see how I did that?) to some other voices with more experience. These are friends that I trust with additional resources for our growth as we learn to listen. There will be lots of new thoughts and giveaways too, so make sure to read to the end and comment to enter! Today, I’d like you to welcome my sweet friend and valued agent, Blythe Daniel, and her mother/co-author, Helen McIntosh. 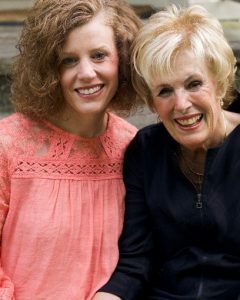 Today’s post is an excerpt from their wonderful book, Mended: Restoring the Heart of Mothers & Daughters. There’s a dance between mothers and daughters, mothers and sons, husbands and wives. Do you bite your lip to listen or go for it? Sometimes we don’t know what to say to each other when there have been hurt feelings, time or space, or something more serious between you. What do you say exactly? You may have just winced at that question. Do something for someone whom you feel awkward around because of the issues surrounding you, or for someone who perhaps doesn’t seem like she even wants you to bring up a conversation with her? Remember, your job is to ask. To initiate conversation. If she can’t accept your help, then you have at least asked. You can’t force yourself in, but you can offer. It may be the opening thread that helps tie your relationship together at some point down the road that you can’t see right now. 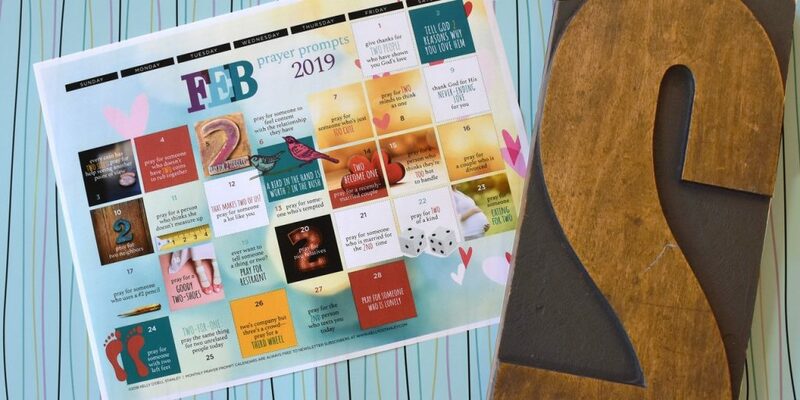 Have you prayed about the timing of your message? Often, right at the onset of pain, it’s hard to hear another person and you can mistakenly turn them away because you are really only thinking of yourself and your situation at the time. You might ask yourself, “Is my mother or daughter ready for me to have this conversation with her? Is it more about me wanting to get off my chest, or do I sense this would be helpful for her right now?” Make sure your need to talk isn’t more important than your mother’s or daughter’s need to hear it. It needs to be equally helpful and timely for both of you. You will want to also pray for the hearer of your words, and for God to consecrate and bless your time. Your ability to sense how the conversation is going is a big part of talking and inviting yourself into the other’s life in that moment. You may come prepared to ask one thing, but have other words prepared so that you don’t feel at a loss for words and then resort to frustration or anger. You’ll want to pray before and after your conversation so that what you discuss is sealed and affirmed under the covering of the Lord Jesus and so that neither of you can deny His power in your conversation when doubt may want to creep in after your exchanges. A great skill for families is listening well to one another. Hearing one another and hearing from God helps us replay to our loved ones in a wise and peaceful way. We need to be excellent listeners to words and hearts, and hearing from God for our replay is the greatest gift we can receive and the fruit we cultivate to offer others. 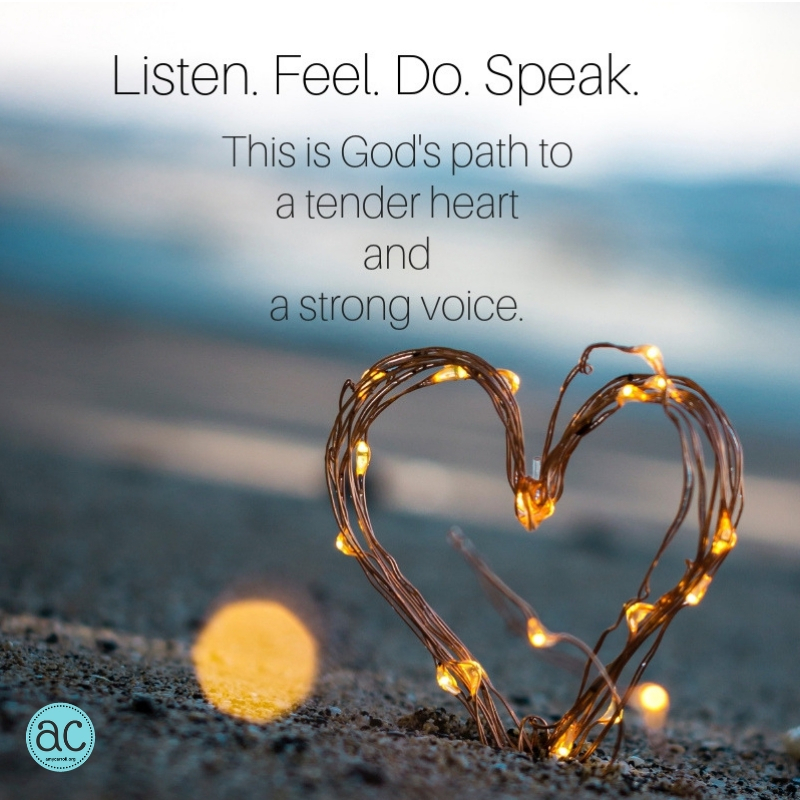 God has encouraged us to listen well to others and listen to Him as he leads our hearts to respond. 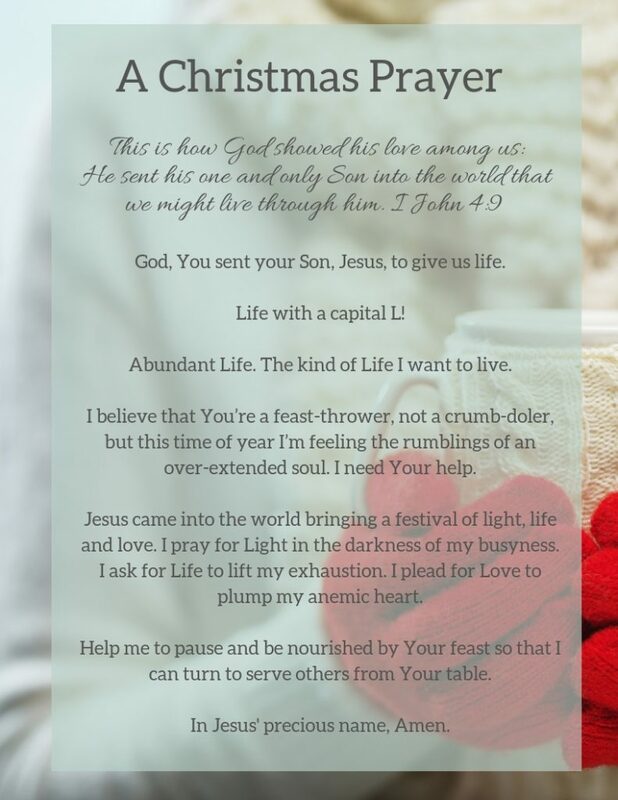 From Mended: Restoring the Hearts of Mothers and Daughters, by Blythe Daniel and Dr. Helen McIntosh, 2019, Eugene, OR: Harvest House Publishers. Copyright 2019 by Blythe Daniel and Dr. Helen McIntosh. 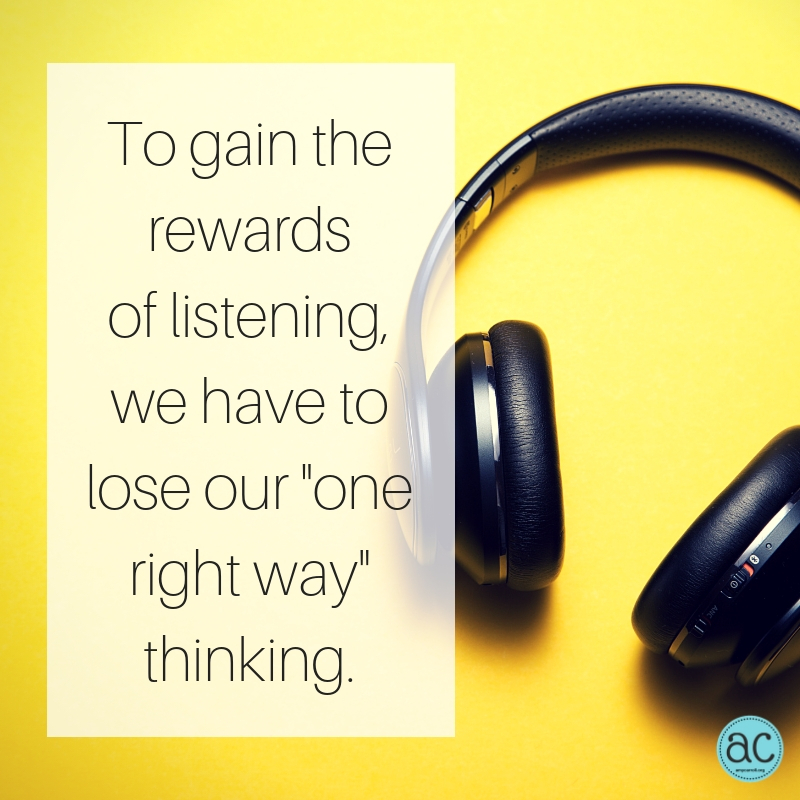 Giveaway: Leave a comment telling one way listening has helped you OR one tip recommended by Blythe and Helen that you’ll try. Your comment will enter you in a random drawing for a copy of their new book, Mended: Restoring the Heart of Mothers & Daughters. Blythe Daniel is a literary agent and marketer with 20 plus years of experience in publishing. She has written for Christian Retailing and Focus on the Family, and she links bloggers with readers through BlogAbout. The daughter of Dr. Helen McIntosh, she lives in Colorado with her husband and three children. Minutes before, my son’s friend was being nasty about his sunglasses, insulting his funky taste. 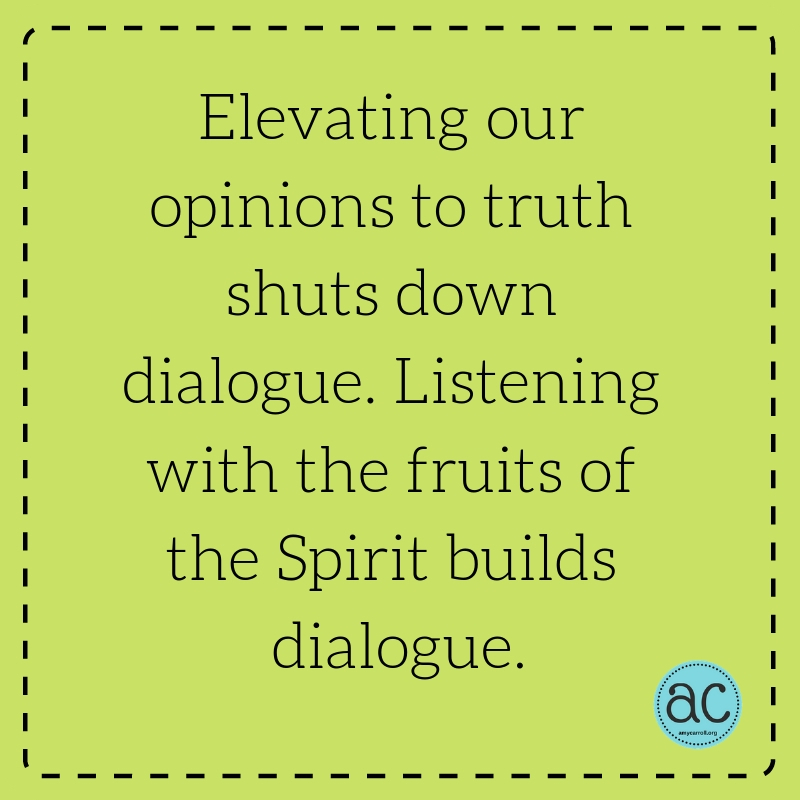 When I encouraged words laced with the fruit of the Spirit, I got a sassy reply. Because I wanted to diffuse the tense atmosphere, I just moved on, but I’ve thought about that response many times since. If I’m honest, I often have a similar retort to anyone who confronts me or disagrees with me. I don’t always say it out loud, but these are the kinds of responses I have (often accompanied by an internal eye-roll). The statement my son’s friend gave about his glasses (and the ones I often hand out) elevated his opinion to the place of truth. As I’m learning to listen, I need to apply the corollary truths from this story. I’m very careful about how I use the word “truth” these days because it’s a powerful word. There’s telling the truth which is the opposite of telling a lie. There’s truth based on data and evidence. And then there’s Truth with a capital “t”– God’s truth which is only found in Scripture. I find that I easily deceive myself, touting my “truths” (otherwise known as opinions) rather than standing on God’s Truth. I confessed it first, so now I’ll just say it… Sisters, that’s a dangerous place to be. In this stage of learning to listen, I’ve realized over and over again how my opinion– my “truths” that I cling to– also block my ability to listen. It’s not that truth isn’t important, it’s actually crucial. I just want to make sure that the truths I cling to are God’s Truths, not my own. 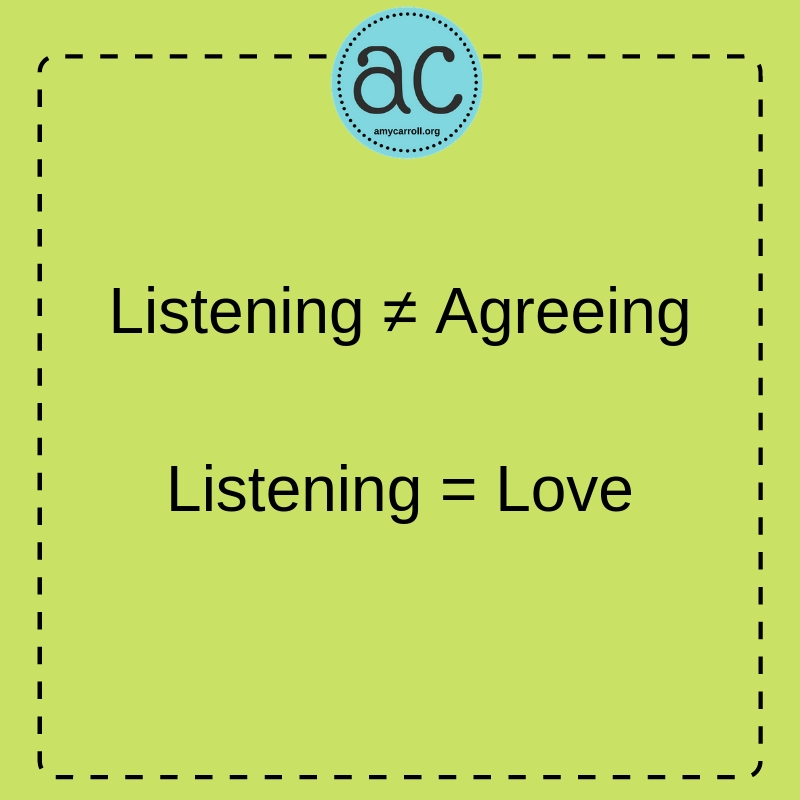 Instead of giving into my overwhelming desire to insert my “truths” into conversations, I’m working to listen with love. With joy. With peace. With forbearance (or patience– which is important when I’m listening to things that I really, really disagree with)… you get the picture. My opinions are limited to my knowledge, education and experience. Only clinging to God’s Truth while listening with an open heart expands my ability to hear and understand. This is a lesson that’s been a struggle, and I’m still learning. It’s not that my opinions or points of view are meaningless. They’re helpful sometimes. But most times they just get in the way, and they’re better left unsaid. God’s Truths are the ones I’d rather stand on. How do you tell the difference between your opinion and truth? It’s seems like it’s been forever since we’ve just done life here together on the blog. Between the holidays, a blogging break and the devo post last week, it’s been a hodge podge. Thanks for hanging in there with me. You’re a treasure. Truly. We’ve got lots of newcomers, and I’m thrilled to have you here. Welcome! If you’re new and wanting to get a taste of where we’re going, I invite you to watch the videos below to get a clear idea of our direction. If you’ve been here a long time, I’m so grateful! Either way, I know I need a chance to get back on course, and maybe you do too. God was so good last week to give me a clear, biblical picture of where He’s leading us. I’ve never heard God audibly speak to me, but He’s always speaking. One of the ways I recognize His voice is through repetition. I’m slow, so I may miss it the first time. I’m not completely dense, though. I usually catch it the second time around. This week, I studied Acts 2:41-47 with my friends at New Providence church, and then our pastor preached on the same passage at Apex Baptist on Sunday. Hello, God! I’m going to be processing the lessons in that passage for a long time, but I felt compelled to review all of Acts 2 today. You may want to get your Bible and read it too. As I was reading, our process leapt off the page at me! Starting in verse 14, Peter stood up to address the crowd, and they listened. Led by the Holy Spirit, using God’s Word from the Old Testament and explaining his eye-witness account of Jesus’ life, Peter explained the Gospel. Do you see what’s happening there? All three persons of the Trinity– God the Father, God the Son, and God the Holy Spirit– are playing a part in speaking through Peter. He has been and is actively listening as he speaks. As Peter speaks truth, the crowd is listening. Peter wraps up his message of the Gospel, and verse 37 tells us, “When the people heard this, they were cut to the heart….” The people listened to the message given by the Holy Spirit through Peter, and they felt conviction. Sorrow. Pain. It was the appropriate and Holy-Spirit-given response to what they had heard. But the people didn’t just feel and then leave. They felt and responded with a question, “‘Brothers, what shall we do?” (Acts 2: 37b). They knew that listening wasn’t enough. Even being moved wasn’t enough. Now it was time to act. We know that these new Jesus followers didn’t limit to do-ing. They also began speaking of Jesus, sharing the Gospel. As a result, “the Lord added to their number daily those who were being saved.” (Acts 2: 47b) They told others who listened and believed, and so the process was repeated over and over. Through the centuries. Until there was you and me. I was amazed and strengthened to see that the process I outlined before Christmas really is a God-idea, not just an Amy-idea. It’s my heart’s desire to share God-ideas with you because only those are transforming and eternal. Are we all on the same page again and ready to move forward? I’d love to hear your thoughts! Next week I’ll start writing about “Listening to Others” but “Listening to God” always, always comes first and is the foundation. 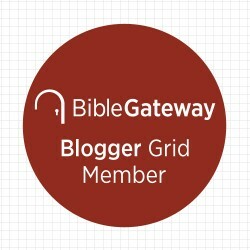 If you missed any of the posts from before Christmas in the “Listening to God” series, this is your chance to catch up or review. Next week, we’ll hit the ground running. Do you love January 1st as much as I do? A fresh start feels so good… especially in the area of powerful prayer. 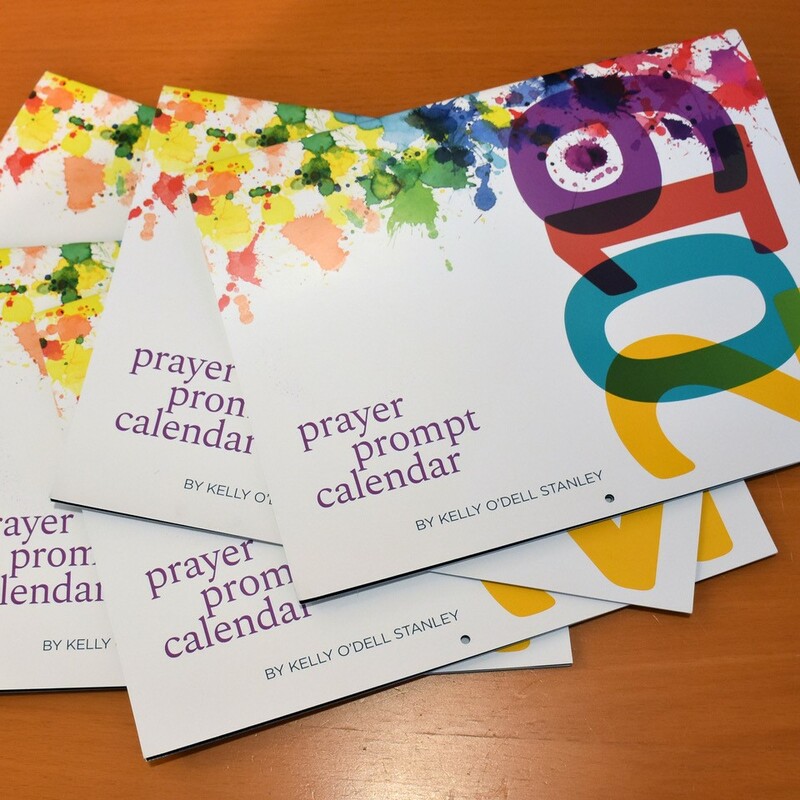 In today’s devotion, “How to Prioritize Prayer in Your Crazy Busy Life,” I shared about my 2018 word for the year, PRAY. There were so many lessons I learned, and I’m still learning. The content they were sharing was TOO GOOD to stop! Subscribers, click here to watch the video on the website.